With high unemployment and economic decline worldwide, nearly everyone is worried about job security. Nearly everyone must rely on someone else to keep them employed. 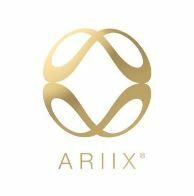 Most financial experts and economists agree that the best way to protect your financial future is to be in business for yourself, to become an entrepreneur.ARIIX provides a unique opportunity to start your own business without a large initial investment, in a field that is virtually recession-proof: health and wellness.Contact me today to learn more or to start your own ARIIX business. What are you waiting for? Now is the time to step up and take control of your financial future.